I've finally accepted that no matter what the cost (within reason) the photographer is clearly one of the most important choices you make for your wedding. Because of your photographer, your memories will live in forever. I have yet to finalize my photographer yet - but I have narrowed it down to just a few. Cost has become somewhat of a deciding factor. I would like a photographer ALL DAY - which I know, increases the price. Unless you pay the big bucks, not many of the ones I've looked at include photo albums. Did your photographer have a package that included a photo album? I know asking to share prices is kind of a touchy subject for some, but I'm interested to know what you spent/are planning to spend for a photographer for your wedding. My biggest deciding factor was that we would be able to get the rights to the photos so we could print our own. I also really wanted a videographer, so I looked at photogs that offered both services. In the end, I was one lucky, lucky bride! We had short wedding due to the fact that it was a destination wedding, so I only needed 4 hours of services. That helped lower the cost a lot. I paid $800 for: 4 hours, 2 photogs, disc with all edited images (5 discs! insane), video, 1 8x10, 4 5x7's of his choosing, a memory book, and in addition to the video they pieced together, I got all of their footage. When our photos came in the mail, they put in a mountain of extra prints! I cannot even believe how lucky we were and how thrilled I was with their work. We were super cheap and opted for the resort photographer - and then asked my sister-in-law to take it from there. I find now when I look back at the photos they are more meaningful knowing that someone I knew took them. But I agree it's an important task to pick the right person. Good luck. This was one of the areas that I wanted the best. I love my pictures. So we opted for a pricier option...around $2500 but it does include engagement shots and an album to go with it. And I am also in NJ so that probably adds to the price. Good luck! We are paying $1500, which included our engagement pics, save the dates and wedding day coverage. Plus print credits for our pictures. I got married in 2005 and paid about $2,500 for our photographer, her assistant AND an album. 6 months after the wedding we were able to buy the picture disk from her for $250. It was a lot to pay, but we still look at the pictures and she did an AMAZING job! Text me and we'll talk! Wow Cami, that is so much money. It has been a long time since my girls were married and I can't remember the cost. Does that include a video of your wedding? I wish I had some tips to offer. I do know that weddings have become so expensive. Our daughter Christina's wedding was about $10,000 and that was 20 years ago. I think the photographer was around $500. It did include an album. The video was extra. Best wishes making your decision Cami. 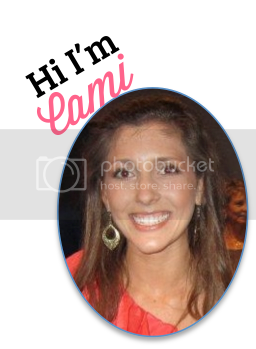 I am doing a thankful post for tomorrow Cami. In fact it is already posted. I totally agree that the photos are what definitely a great splurge rather than save in all the wedding costs. Our photographer didn't include a photo album but we had the option after our wedding to pay for the rights to the photos and get every one on a cd. we had the photographer all day until about 9 @ night I think. It was 2,800 (including all of our photos sent to us in 4'6s) and another 700 for the cd. A bit pricey but we saved a ton in other areas. Wishing you lots of luck!! Good luck finding the right one I agree if you are going to put money into any of it that I think would be the most important!